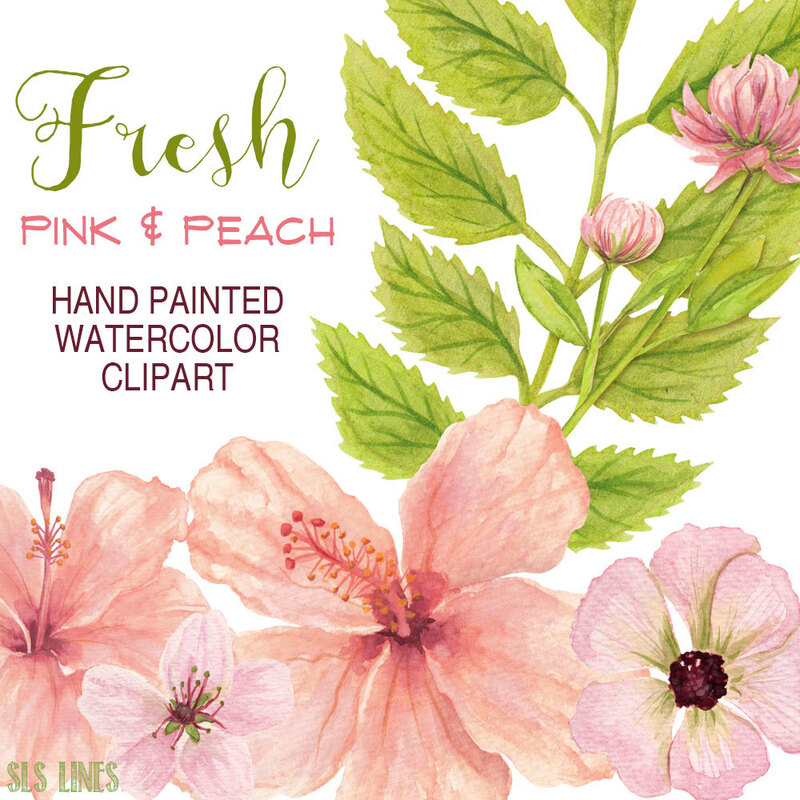 A gorgeous set of soft watercolor hibiscus flowers clipart in pretty shades of light pink and peach. 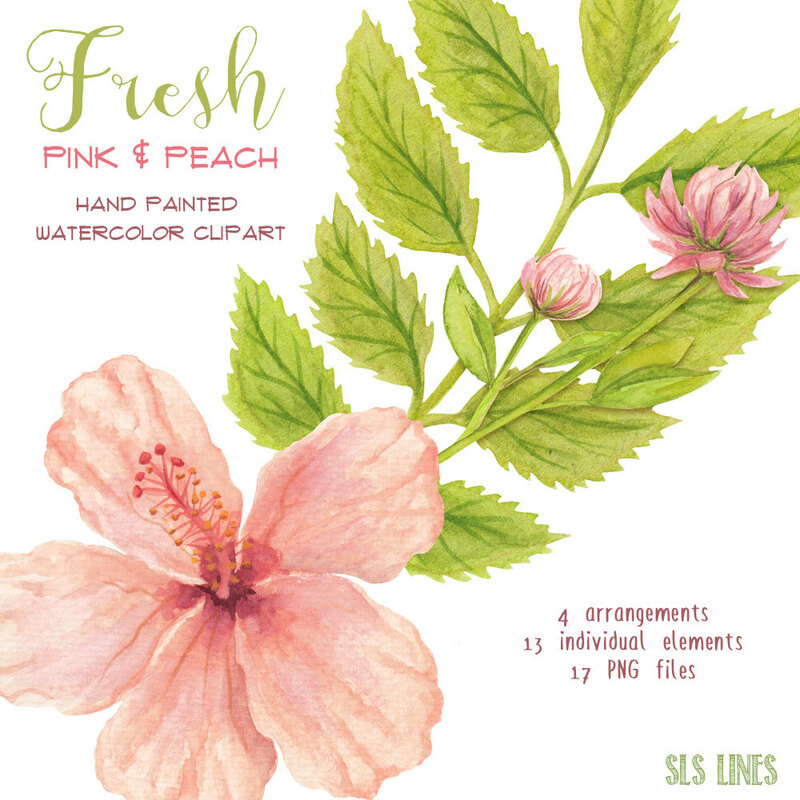 This spring floral graphic set is hand painted by me and includes leaves, laurels and flowers in pastel colors. 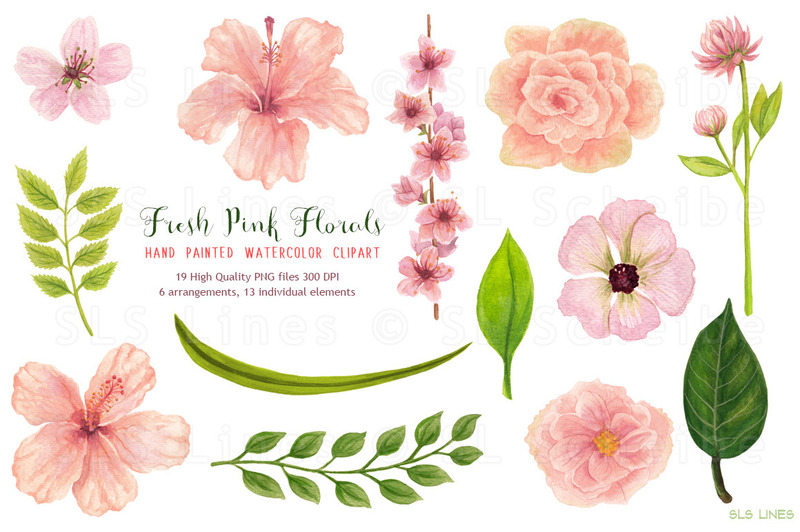 These bright floral and laurel digitals are great fun for wedding or shower invitations or other projects. 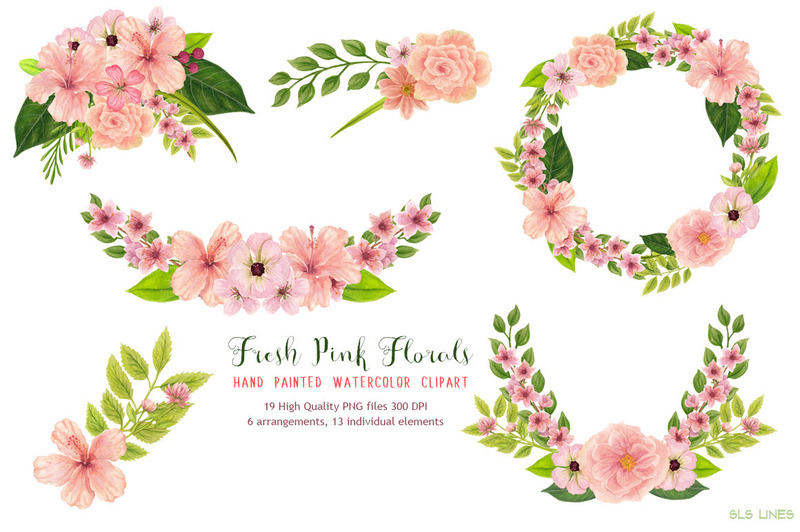 You will receive 6 assembled floral graphics along with 13 individual leaves and flowers so you can create your own beautiful designs. These graphics work well on both a light or dark background. 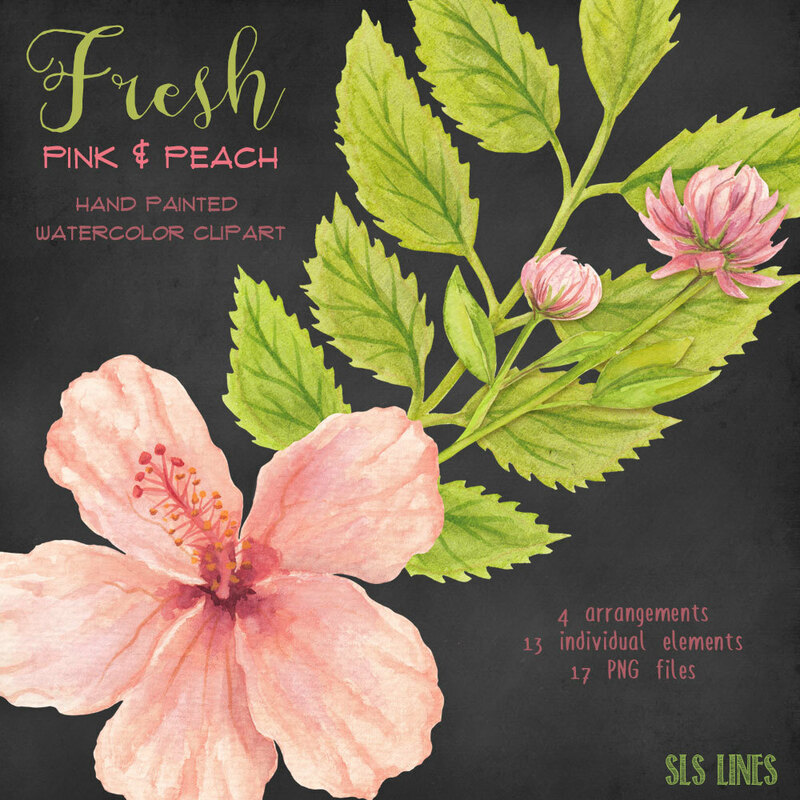 This listing is for a set of 19 PNG files (300 DPI) available in one ZIP file. Large individual flowers are approximately 7-8"
Feel free to send me questions before purchase if anything is unclear! I'm happy to answer any questions you might have about this graphics product. Once your order has been paid, you will receive a download link via email.